How to Get a Verified Blue Tick on Instagram and Earn The Fame. Instagram has taken further measures for the security of its magnanimous billion users. 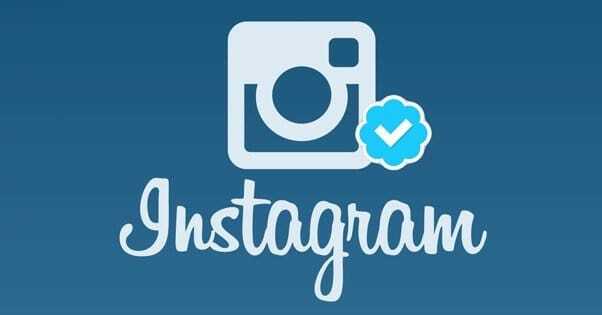 Instagram being the major platform in social media with more than 200 million users in its strong platform has now decided to provide the buzz making blue tick and get your account verified. 1. Open and navigate into your profile section, tap the 3 vertical lines at the top right side of the corner of the screen to access the ‘Settings’ and scroll down in to account section, where there’s a newly added ‘Request Verification’ option. Instagram states that it requires ‘government-issued photo ID that shows your name and date of birth‘ for the process. The details on your legal document need to match those in your account to successfully complete the same. Even though the process may seem to look simple and easy, but it’s not guaranteeing you the blue tick. Instagram in its official blog post stated that that it shall review every request whether the profile is real and authenticate and belongs to a public figure, brands or any big entity. Instagram finally started the process for verification process and rolling out the blue ticks, extending the users to gain the blue tick and earn the fame. If already you’ve applied for verification process (or planning to) then you’d receive a notification once your request is approved. If it’s not done then, you will have to wait for 30 days to re-apply for verification. This feature is already live on iOS but for android users this feature will be available on coming days. Feeling excited about it, show us by your comments.